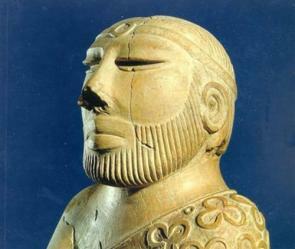 Cracking the Indus Valley script? The men whose hands etched out these rather linear signs on soapstone and terracotta tablets along the valleys of the mighty Indus river some 4000 years ago, would have had no inkling that they were leaving such an enduring and tantalizing puzzle for men of the 20th and 21st centuries. What is exciting Dr Wells and linguists like Dr Steve Bonta from the Pennsylvania State University, who have been trying to crack the code, is the scintillating results of a study by a group of academicians and scholars. The study has discovered through computer statistical methods that the Indus script shows distinct patterns in the placement of symbols in sequences. This even gives this team a chance to accurately guess and fill in on the missing parts in the tablets discovered so far. It is a geographically spread out team that conducted the computer analysis — Rajesh PN Rao, University of Washington; Nisha Yadav and Mayank Vahia of the Tata Institute of Fundamental Research and Centre for Excellence in Basic Sciences in Mumbai; Hrishikesh Joglekar of Mumbai; R Adhikari of the Institute of Mathematical Sciences in Chennai; and Iravatham Mahadevan of the Indus Research Centre in Chennai. Their study was published in the latest Proceedings of the National Academy of Sciences, and the research was funded by the Packard Foundation, the Sir Jamsetji Tata Trust, the University of Washington and the Indus Research Centre. These researchers used the Markov statistical model that analyses sequences and estimates the likelihood of a future event. This model has actually hit on the underlying grammatical structure of the Indus script, which is a massive boost for efforts in deciphering the script. The Markov analysis suggests that the Indus script exhibits rich synactic structure and the ability to represent diverse content. In short, the results suggest that the Indus script symbols fall into the purview of language. “I think that using Markov model has been a turning point,” says Dr Ronojoy Adhikari. The Markov model is generally used for sequences like DNA analysis, speech recognition, and economics. The Indus Valley civilisation, also known as the Harappan civilisation (following the discovery of the bygone-existence of this civilisation at a site called Harappa, by English general Alexander Cunningham in the late 19th century) once spanned over half a million square miles. These people had an amazing trade network that extended as far as the Persian Gulf and the Middle East, and over 4000 symbol-bearing objects have been discovered, some in places as far away as Mesopotamia. The Indus script sequences in seals are typically five to six symbols long, and read from right to left (understood from the cramping of signs towards the left of the seals). Each seal has an animal icon (predominantly the one horned rhino) accompanied by another symbol at the base. The seals are rather small, and the largest discovered one is just over a foot tall. What is intriguing is that the seals with Indus symbols have been found in far away paces like Mesopotamia and the site of modern-day Iraq. Even more curiously, the West-Asian sequences seem to be ordered differently from sequences on artifacts found in the Indus Valley, suggesting that Indus traders in West Asia may have used the script to represent different information than the information they represented in the Indus region. In that case, these signs certainly can’t have been just symbols, quashing the contention that the Indus symbols were not part of a language. The number of principal signs in the Indus script is estimated to be between 400-600 and scholars term these characters to be logo-syllabic, meaning midway between the syllabic and logo graphic scripts. To make it clear, typically, syllabic scripts have about 50-100 signs like the Tamil or English scripts, whereas logographic scripts have a very large number of principal signs, like the Chinese language. “It looks like some signs in the Indus script have phonetic sound, while others don’t,” Dr Wells says. Arguably the most ancient of the urban civilizations in the world, these people lived, traded, sculpted and carved their thoughts in an enigmatic script, which have been teasing linguists. Perhaps not for much longer, though. There seems to be a glimpse of light at the end of the tunnel now. In two to five years, we might even be conversant with what these men had etched out on these tablets. The team is very hopeful of this, considering that current digs at sites such as Farmana by Prof V Shinde, are throwing up a huge number of seals and tablets, offering these researchers more material to work on. So why has it been so difficult to crack the code so long? There are actually three reasons. “For one thing, we haven’t been lucky enough to be left with a Rosetta stone (a bilingual text that provides a translation for a script) such as the one that helped crack the Egyptian hieroglyphs. Secondly, the the average length of the inscriptions found so far is less than five signs, the longest being one of only 17 signs, and a sealing of combined inscriptions of just 27 signs, which makes decoding that much more tricky. Thirdly, we don’t have information about the kings and places of that time, which has helped in cracking many other ancient scripts,” Dr Bonta explains. But even now, Dr Bonta has interesting theories about the fish sign that appears on many of these seals. He reckons that it represents a system of weights. Substantiating this theory is that the fish is ‘Min’ in most Dravidian languages (pronounced meen). The Mina is actually a common system of weights that existed across a belt of regions from Harappa to modern day Bahrain. Dr Bonta also notes that the jar sign appears only in the predicate position. Many controversies surround the script. There are scholars like Dr Asko Parpola (University of Helsinki) who believe that the Indus sign system represents an ancient Dravidian language. 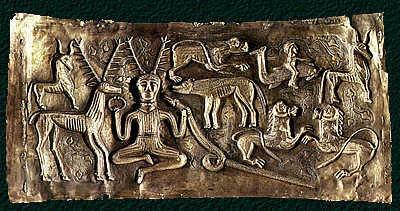 Others like Natwar Jha consider that the inscriptions found on the artifacts were a form of Vedic Sanskrit. As for this team, they are having an open mind about the script’s origin. Dr Adhikari sums up, “We don’t want to slot it into a category; that would limit possibilities. We just want to understand what these seals say.” We do too.